The U.S. special representative for North Korea, Stephen Biegun, visited Pyongyang last week to work out details of the February 27-28 summit between President Donald Trump and North Korean leader Kim Jong Un. 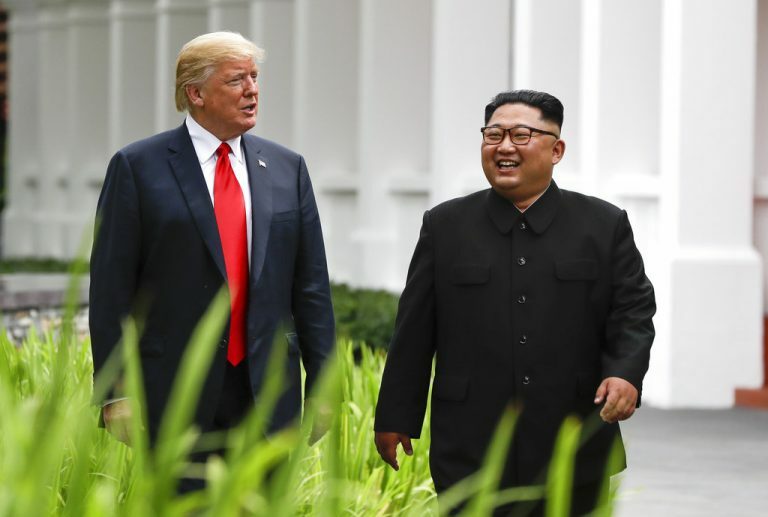 South Korea's national security adviser Chung Eui-yong, who met Biegun, reported that U.S.-North Korea diplomacy "is working well," presidential spokesman Kim Eui-kyeom said. He said a follow-up U.S.-North Korea meeting ahead of the summit will take place in a third country in Asia in the week that begins Feb. 17. In Pyongyang, Biegun and Kim Hyok Chol, North Korea's special representative for U.S. affairs, discussed "advancing Trump and Kim's Singapore summit commitments of complete denuclearization, transforming U.S.-(North Korea) relations, and building a lasting peace on the Korean Peninsula," the U.S. State Department said in a statement.